Does this same ‘balance of probabilities’ hold true for when Social Services are transforming a contact into a child protection referral? Do they have any duty to verify the truth/source of information received before they create records for the children? This is an interesting example of how finely balanced some of the arguments can be about imposing a duty of care on professionals who are investigating child abuse. House of Lords in 2005. Might not be entirely on point but thought it worth a read if you haven’t already. You might also be interested in this recent case where a parent brought an action against CAFCASS – from para 136 it talks about the law re duty of care and misfeasance in a public office. Many thanks for the links. I hadn’t read them, but have now. I find these judgments obscene. How expensive must it have been for the aggrieved families? The terrible implication is that CSC can do almost whatever they like, and behave as poorly as they wish – as in our case, for instance, sending misinformation to the Ombudsman, and maintaining misleading, demonstrable falsehoods throughout their complaint reports – and even though we can absolutely prove them falsehoods, we have no hope of bringing them to book, because their behaving like the Stasi is considered to be ‘in the best interests of the child’. How depressing! CSC’s general level of ineptness makes their unaccountability similar to handing the nuclear launch button to the village idiot. I had thought that John Hemming was slightly unhinged, but I am now coming round to his opinion. How can you continue to function in the midst of such a hopeless fiasco? I return to where I began, readily acknowledging the legitimate grievances of these particular appellants, against whom no suspicions whatever remain, sufferers from a presumed want of professional skill and care on the part of the doctors treating their children. It is they, I acknowledge, who are paying the price of the law’s denial of a duty of care. But it is a price they pay in the interests of children generally. The well-being of innumerable children up and down the land depends crucially upon doctors and social workers concerned with their safety being subjected by the law to but a single duty: that of safeguarding the child’s own welfare. It is that imperative which in my judgment must determine the outcome of these appeals. For these reasons, together with those given by my noble and learned friends Lord Nicholls of Birkenhead and Lord Rodger of Earlsferry, I would dismiss them. Thus the wrongly accused must be martyred to protect the general. Remind me, did we stop ducking potential witches? With these judgments, it appears not. Thank you for you effort in sending me these judgments. in proving to me that there is no justice, you may at least have saved some of my children’s inheritance. I am not a social worker, so can’t reliably comment but I would HOPE that no professional takes serious action without being confident about the information that prompts their action. But I know when a situation is perceived as ‘urgent’ there may not be time for considered checks about sources etc. As with everything, it’s trying to get a balance between need for speed but need to act proportionally. I accept that sometimes that balance isn’t maintained. Thanks for the reply. The local authority that I have issues with today sent me an update on a recent case MXA v London Borough IHJ/14/0272. sent to discourage me from pursuing them I guess – but the Update they sent me is an ‘advertorial’ from the solicitors who won the case, and I can’t find any other information that would help me to assess how similar/disimilar our case is from this. Except that I would say that a police report of sexual abuse, plus a previous allegation might trump a request for advice from a nursery due to nappy rash. But I don’t know what to believe any more ; this stuff is surreal. Where might I find info. on this case and similar cases please? It is mentioned in this media law blog – but only to say an extempore judgment was given, so I am guessing there will be no published transcript at the moment. I will keep looking. Hmm. I didn’t know what ‘ex tempore’ judgment meant. This from wikipedia: An ex tempore judgment, being off the cuff, does not entail the same preparation as a reserved decision. Consequently, it will not be thought out to the same degree. …But if not thought through, does it still retain the same validity? To imply that CSC can maintain records brimming with misinformation would seem a dodgy decision… surely there must be some threshold of proof/balance of probabilities? Ex temp ore does not mean it isn’t thought through at all, just not thought through to the same degree as a written judgement which may be prepared over several days or even weeks. Does… ‘an application in the case of…’ found in http://inforrm.wordpress.com/2014/06/09/law-and-media-round-up-9-june-2014/ mean that what is being discussed is a small part of something larger? Hi – I remember seeing a ref to this case recently (MXA v (1) HARROW LONDON BOROUGH COUNCIL (2) WEST BERKSHIRE COUNCIL (3) TAUNTON DEAN BOROUGH COUNCIL (4) WOKINGHAM BOROUGH COUNCIL (2014) heard on 4th June) and have now found a report which I’m afraid I can’t pass on for copyright reasons but if there is a specific question I will try to summarise relevant bits. Thanks Julie, do you know if it is going to be reported anywhere? ..Because a report by Weightmans of the MXA. v. case was sent to us by the Local Authority, I was trying to asses the similarities/differences between that case and ours. Without knowing more about the detail of the case, it is hard to know what precise questions to ask. I can send you details of our complaint, if you wish, that you could then measure against the MXA case, but would need to do that confidentially. Perhaps Sarah might supply you with my email address if that would be acceptable to you. I can look at the case again and post a summary here of the basic facts & law that were at issue. Hope that will help. Thanks Julie that would be really helpful – I think we also need to expand the post about making a complaint to look at the issue of negligence/duty of care of social worker towards parent. Thank you. Our concerns are to do with what we see as an unjustified referral, that came about when a nursery called to ask for advice on what transpired to be nappy rash. the contact was recorded very inaccurately, and as a result, was escalated towards a s.47. I say towards, because CSC never got round to holding a strategy discussion and the police claim that they never intended to take any action on the information fax.ed to them. But nearly three years later, all the inaccuracies remain on our children’s files, and these will be maintained/ disseminated by a Social Services who we consider less trustworthy than the Stasi, since they have been duplicitous throughout our complains process, have manufactured falsehoods in their reports, and then sent those on to the LGO… I have to stop, I believe I am starting to sound a little crazy – but then, I wouldn’t believe it if it hadn’t happened to us. Here is a short summary of the abstract I have read on the case in question. If this is an unreported case, it may not be binding on other courts but it may give an indication of the purposes for which a public body can legally process and store data. The family had moved in and out of four different LA areas. A child protection referral had been made to Harrow. There was a police report setting out a number of relevant recent and older convictions, warnings and allegations. The family moved to another LA area and Harrow passed on the information. The family moved again and the information was passed on again. There was a new referral and an investigation began; he signed consent forms to the sharing of information; care proceedings began. He alleged that the LAs had together disseminated damaging information about him maliciously and not checked if it was true. The court decided that the LAs were undertaking child protection investigations, had held the info only as long as necessary (Data protection principle), had passed it on when necessary to protect the child’s welfare, and had not disseminated it beyond that. The LAs had taken reasonable steps to check the accuracy of the info. Processing it was necessary to enable them to comply with statutory duties. There was no evidence of malice or recklessness by the LAs. Thanks Julie that is really helpful, I will aim to get a post up about these issues within the next week or so. Thanks Julie, and everyone for info. I take this to mean that in our case the data sharing was unlawful. This seems to me to be compounded by the fact that the CSC complaint – which went through three stages – did not discover this. Instead the I.O. did not upheld our complaint that the parents were not informed, saying that: ‘In my view the telephone conversation made it clear that the parents did not know about the decision to contact…’. This seems bewildering to us, but elsewhere the Adjudicator stated: It is not a matter of whether a complaint is factually correct.. The issue is whether the question should have been asked. In my opinion it was not an omission to fail to ask it. . He was actually talking about asking whether there was any risk of harm – but I suppose the same principle applies in his view. Let us know what happens, I think this is an interesting issue and probably of relevance to many. Update: Because you asked to be informed of progress. I’ve built a password protected site with summaries, chronologies, report documents etc. all linked and navigable so that someone doesn’t have to plough through mountains of paper – but the security settings created by I.T. departments in chambers prevent quite a few from being able to access. Still – I keep discovering fresh sets to badger. Sorry to hear you are having problems re direct access. We have added a link about legal advice if you check the links and resources tab – there is one firm of solicitors in the north west called Farleys who say they specialise in these kind of claims. They might be able to point you in the direction of someone who feels able to take it on. Thanks for the Farleys link. I feel that I am only just starting out in my appreciation of the issues of professional negligence and I haven’t conducted any cases in that area yet, but if you get stuck I would be happy to review the papers and provide an advice pro bono; I am direct access trained. But my experience is pretty limited at the moment. If you think that would be helpful, please do get in touch. Its an interesting area and I would like to explore it further. That would be fantastic. Really fantastic. I have built a website containing all the documents, with summaries of issues, chronologies, the contact/referral etc. – all with navigable menus and interactive click-button links to the relevant parts of each document. All in the interests of barristers being able to access quickly and easily. I’ve made the website username and password protected – but you, as the site owner should be able to see my email address. If you email me directly, I’ll send you the relevant links – and all my details. Oh, thank you – if you are able to explore this. It will be your summertime reading. Once I’ve finished with all the legal presentations, I reckon all the shameless bungling on show has some potential for a sit-com. If you can’t see my details, then I could contact you via chambers…? Yes, I have got your email I will send you one from my Chambers’ address now. It would seem ,if one takes into account all the court argument on the subject, that lawyers and especially partially qualified trainee solicitors may well have some amount of difficulty when pondering the standard of proof required in the civil family courts. It is also easy to imagine that the lower Magistrates ( Family Proceedings) fail to understand the issues fully either.Yet it is that Court which carries out the initial fact-finding in most cases : the Magistrates decision if they issue an ICO early on tends to pre-determine the outcome in the Family Court itself later on.It certainly has a great linfluence. One does,of course,expect highly trained barristers to be au fait with the standards in a civil court and with those pertaining in criminal courts and the difference. To what extent to mere parents understand the difference? In a criminal court , the jury hears all the evidence and if it is established that a party has given false evidence,failed to produce evidence,neglected to obey guidelines etc.,the jury can refuse to consider any of that party’s evidence credible and SAFE.Their unlawful aactions will be unacceptable! In the inferior civil courts there is a lower standard of proof.A Judge has to make a decision at his own discretion which relies on his or her consideration of ALL the evidence entered into a factual matrix produced to the Court.It is generally accepted that the evidence comprises of a mixture of facts,half-facts,truth and lies ,allegations,speculation and professional opi ions,intelligence reports etc.It is known for certain that the decision made cannot be a totally fair one based on facts alone but it is the duty of the Judge to make one anyway.The decision can never be entirely unbiased as with a twelve -person jury . Any decision is made on the balance of probabilities and the balance may be very tight perhaps down to a 51/49 split. According to the latest addition to the post above,one cannot calculate the value of any one piece of evidence mathematically,every one must be considered a part of a whole . Thus,should any one small part of the evidence be false and untrue ,should any portion of freely available evidence be withheld then the decision made cannot be a totally fair one; it must contain an element of error and be unsafe to a degree. I reckon that whilst such standards are acceptable in normal civil courts ( even secret ones) ,whilst they may even be acceptable in Family Courts it can only be acceptable if limits be placed on the severity of sanctions imposed.The permanent liquidation of families and/or permanence plans should never be ordered by a civil court.It is disproportionate and out of line with article 8, surely? 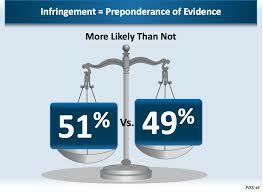 An inferior court cannot exceed the powers of the higher court with higher standards. It would seem ,Sarah,please correct me if I misunderstand it , that the latest judgment rebuts the elephants and mice theory; how ironic that it should be due to a local authority appeal given that they profit so much from discounting small mistakes in most cases. Obviously,the team who successfully brought the appeal did not have to rely on the legal funding commission or it would not have been brought.They tend to be brilliant when acting for the authorities. If the elephants cannot be evaluated mathematically neither can the mice so the argument and findings can work both ways. But will it? That will depend on whether parents have access to justice and proportionality,I suppose, as always! Can anyone think of an article of the ECHR convention which is not contravened by this child a protection system? Parents and their lawyers might find better solutions if they think in reverse.Instead of analysing precedent with regard to successful appeals by other parents which are few and far between,examine winning appeals by LA’s. This LA won because the appeal court decided that notwithstanding the fact-finding had relied on some false representations (major ones) ,the apparent failure of father to cooperate and work together with sws overrode it. All you have to do is demonstrate to Court that the LA’s will not follow frameworks and cooperate by working together and supporting parents. 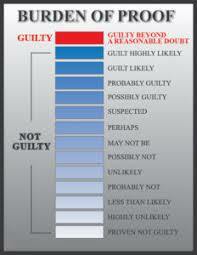 You will find the evidence you need right at the outset of cases usually when they start to flout guidelines. I repeat,Sarah,my question is serious. Can anyone think of an article of the ECHR which is not contravened by this judicial system? The Children Act has been challenged in the ECtHR. The ECtHR upheld the legislation as complaint with the ECHR. So I am afraid the Judges in the ECtHR itself do not think your question is serious. The Children Act isn’t the main problem.I am no lawyer just a plain and ordinary parent but I would uphold the legislation too were I presiding at the ECHR. My question was about our judicial system and access to a fair and proportionate hearing etc. What do you think? The Act seems okay. I think if matters continue down their present road – with high vacancy rates in judicial posts and local court buildings being shut, then there is a real risk that individuals will have to wait so long for their cases to be heard, that they will not in any real sense have access to a fair hearing. Justice delayed, is justice denied.